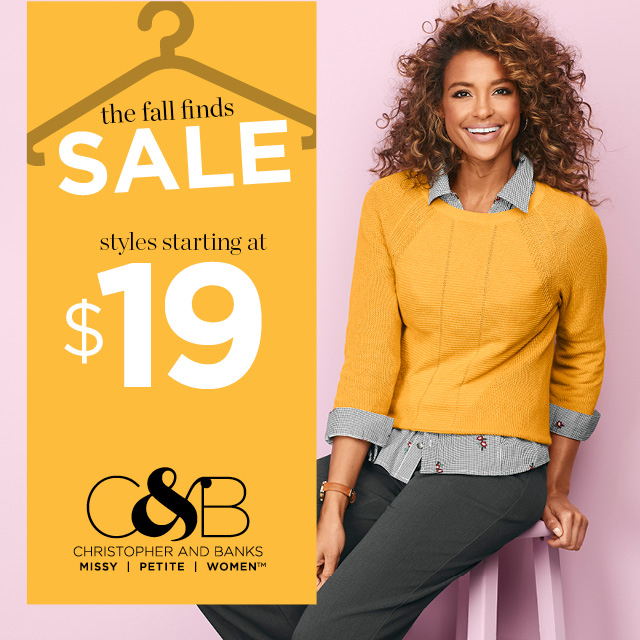 The Fall Finds Sale with styles starting at $19 is going on now at Christopher & Banks. Stop in and check out all the new Fall styles arriving daily! Copyright 2016 Great Northern Mall. All Rights Reserved.